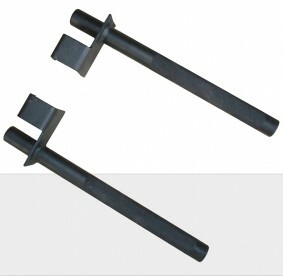 Bar hooks can be moved to position inside or outside the cage and bar catchers can be adjusted to your desired height. 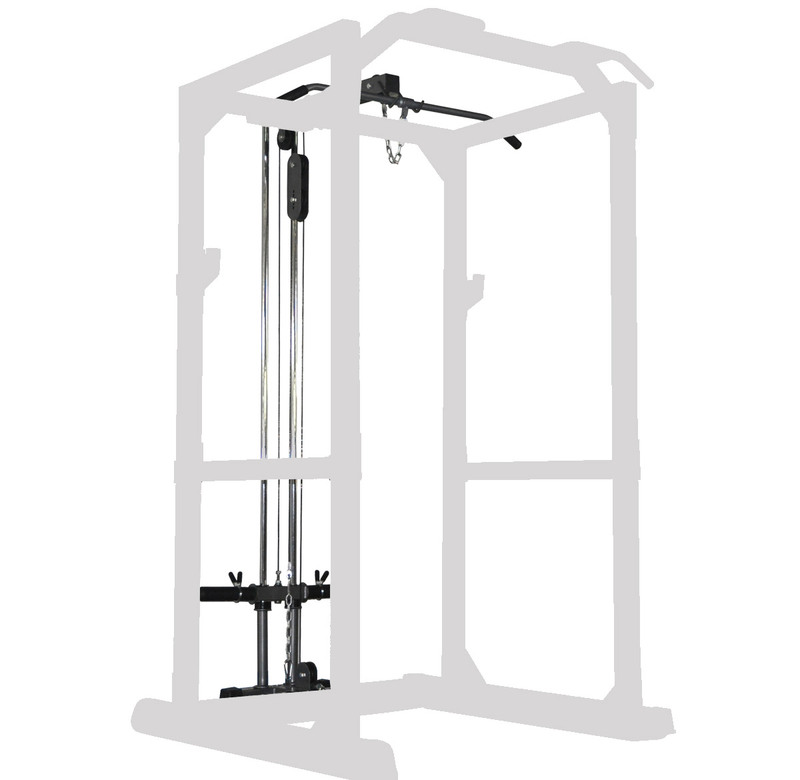 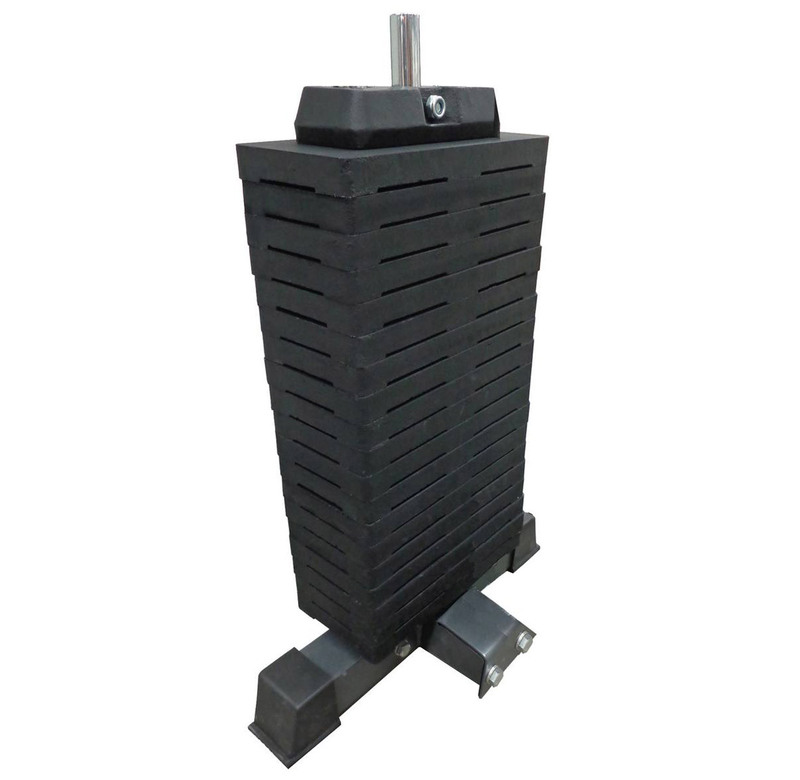 As an optional extra there is a High pulley/low row station to go with this item therefore adding the popular cable exercise’s to your workout options, it can be purchased in plate loaded form, (it will accept standard or Olympic plates), or in the form of a 100 kg selector pin weight stack. 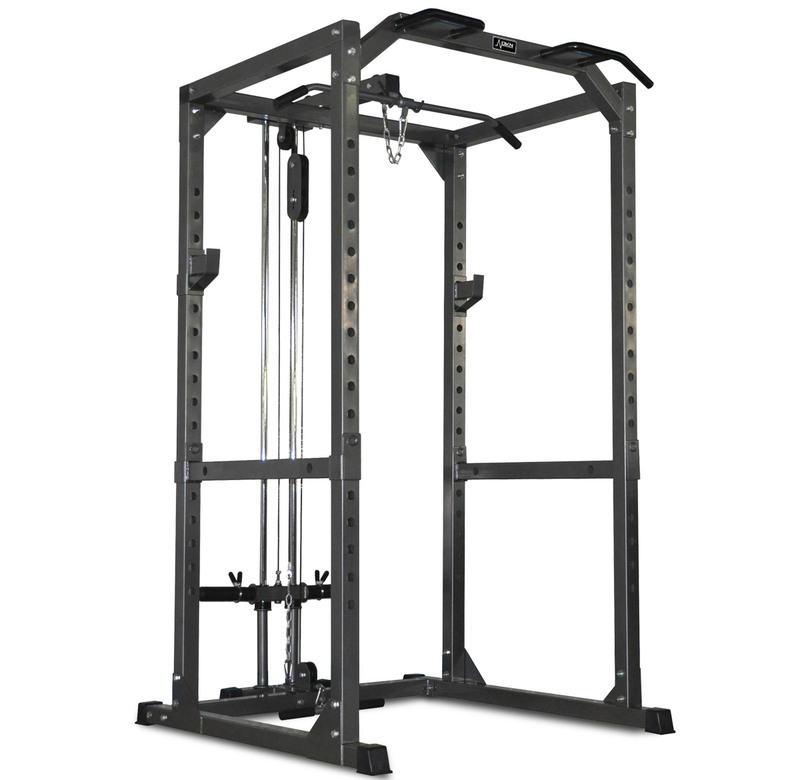 Key stations: Shoulder Shrugs, Squats, Chest and Shoulder press. 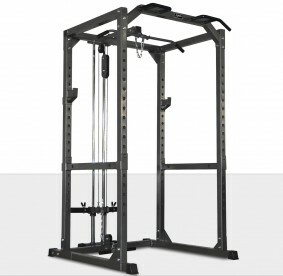 DKN’s Full Power Rack suits for all types of barbell exercises. 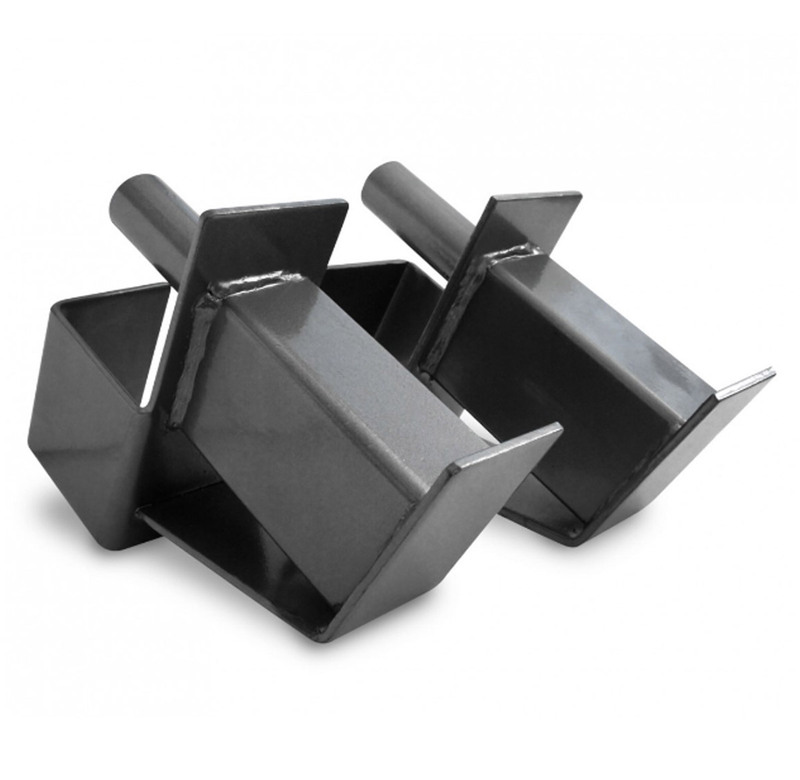 Options: High/Lat pulley, Dip Bars and 100 kg weight stack. 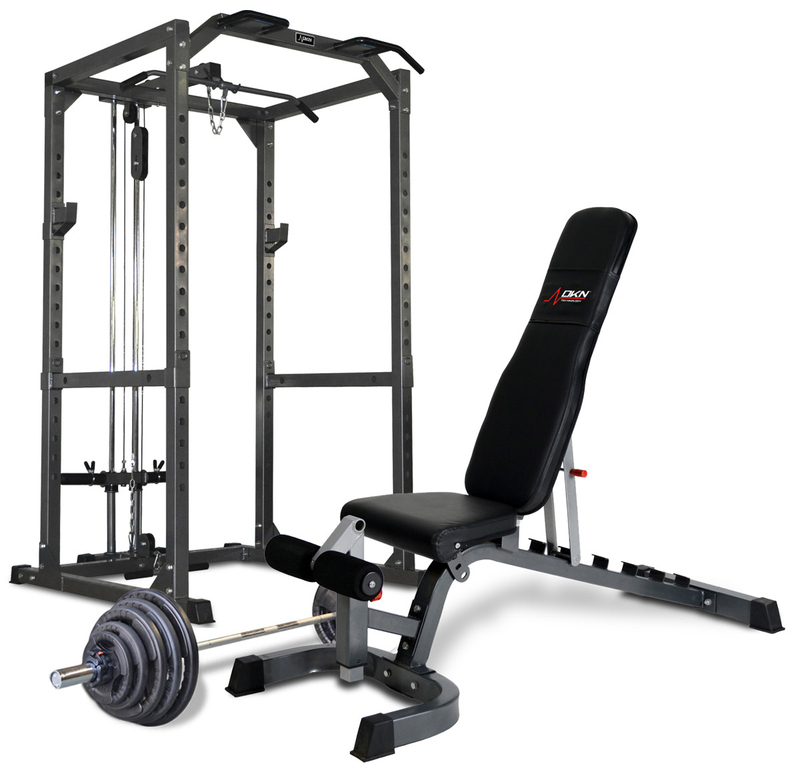 The DKN Heavy Duty Bench is the perfect bench to match this Heavy-Duty Power Rack.